Estudiantes de todo el mundo firman carta al embajador de México en Holanda. 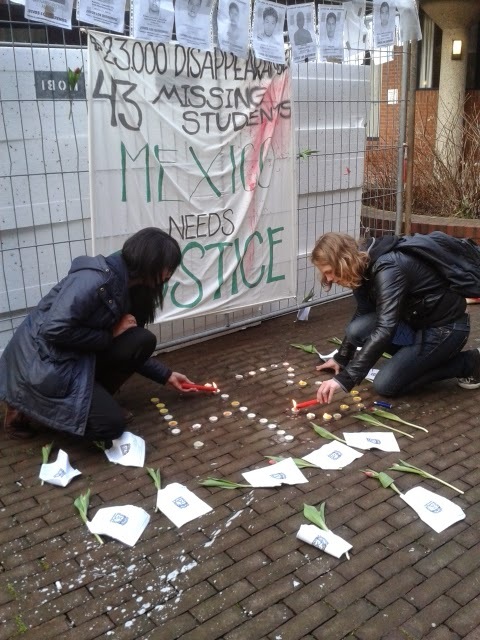 We, Mexican students together with other international students studying in the Netherlands, hereby want to express our deepest sympathy and sincerest solidarity with families, friends, and students in Mexico in their ongoing struggle against the impunity of the Mexican government. This impunity has been demonstrated again and again by the constant mockery from the Mexican regime towards thousands of cases of disappearances, killings, and persecution of Mexican citizens. Authorities at all levels consistently target not only activists, journalists, and students, but all others who speak out against the injustices being carried out. We want to stress that the complete lack of accountability on behalf of state representatives and institutions, and the absolute impunity towards state-induced crimes, has not gone unnoticed by the citizens of Mexican and the international community, and will not be ignored. As of tomorrow, 26th of February 2015, it has been 5 months since a large group of students, from the Teachers' College of Ayotzinapa, was stopped by the local police of Guerrero in Iguala, supported by the Mexican Army, of whom President Peña Nieto is commander-in-chief. The students were legally and innocently raising money for their college and collecting funds to finance a group trip to support the annual remembrance of the Tlatelolco Massacre in 1968. Three students were murdered in cold blood on the spot: according to survivors and forensic analysis, one of them had his eyes gouged out and his skin brutally removed from his face while still alive. In the chaos many students managed to escape, but 43 known students were taken back to police headquarters in Guerrero and have never been seen since. The Mexican government has claimed that the missing students were abducted and killed by a local crime syndicate, Guerreros Unidos, and that the kidnapping was masterminded by Iguala's mayor José Luis Abarca Velázquez and his wife María de los Ángeles Pineda Villa. The Mexican government announced in a press conference that several plastic bags containing human remains were found by a river in Cocula, Guerrero, and that these are most likely the remains of the abducted students. As of today, there still has been no independent inquiry and no conclusive explanation on this individual case. 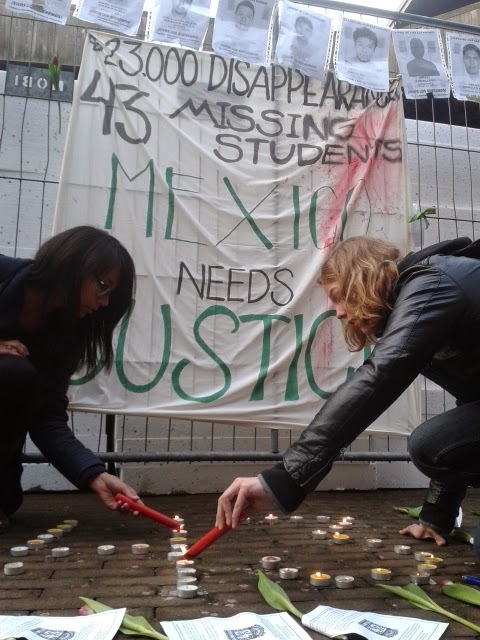 The families of the 3 murdered students, the families of the 43 missing students, the Mexican people, and the international community are still waiting for a clear explanation, supported by an independent inquiry of forensic experts, from the Mexican government. This letter implores the President of Mexico and the Ambassador for Mexico in the Netherlands to address the recommendations by the UN Committee on Enforced Disappearances. According to the Human Rights Council of the United Nations special report on Mexico, structural reforms concerning an effective investigation system are needed in order to deal with the current situation. Enforced disappearances are a violation of human rights, and thus an international crime, according to the Declaration on the Protection of All Persons from Enforced Disappearance, proclaimed by the General Assembly in its resolution 47/133 of 18th December 1992. This applies not only to the 3 confirmed murdered and 43 assumed murdered students, but also to the estimated 23,000 Mexican citizens who have disappeared, possibly at the hands of the Mexican regime, since 2007. How can the Mexican government guarantee that events such as the Tlatelolco Massacre on 2nd October 1968, the Corpus Christi Massacre on 10th June 1971, and the Iguala Mass Kidnapping on 26th September 2014 will not happen again? Will the Mexican government ensure that independent investigations on these events will be carried out followed by the prosecution and punishment of the perpetrators of these events? We demand open debates with the Ambassador for Mexico in the Netherlands and Civil Society at Leiden University, which has offered their services in facilitating such debates. On 11th December 2014, Leiden University held a debate regarding the current situation in Mexico. It is worrying and shameful that there were no representatives from the Mexican government in the panel, whilst the Dutch Ambassador to Mexico from The Netherlands himself took part in this debate. This reflects a lack of respect, transparency, duty from the Mexican government towards its citizens living in the Netherlands. 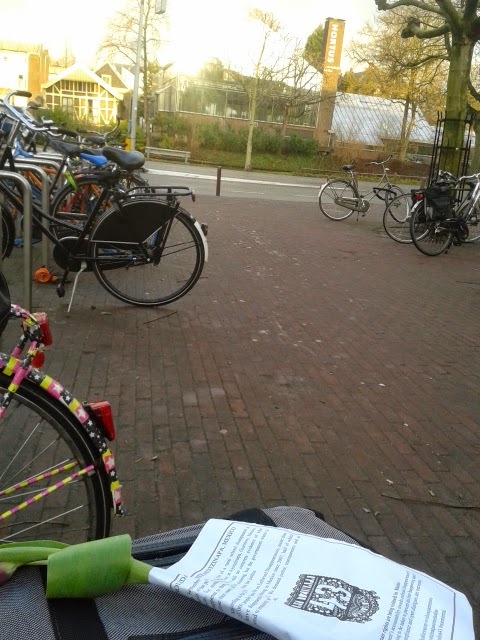 We demand an appropriate and more detailed response to the letter sent to the Ambassador of Mexico in the Netherlands signed by Prof. Dr. Maarten E.R.G.N. 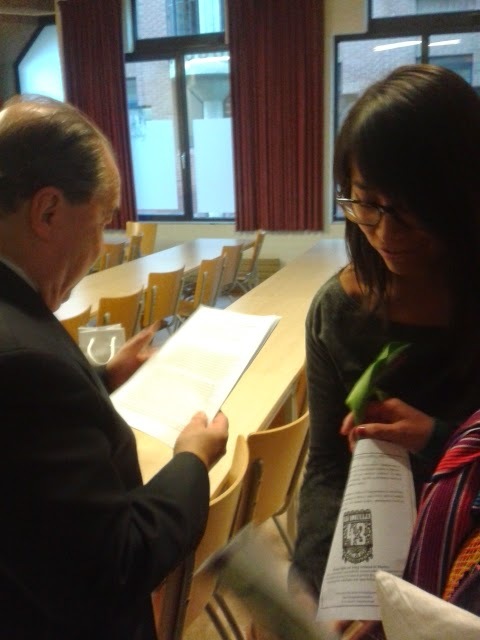 Jansen (Faculty of Archaeology, Leiden University), Mrs. Gabina Aurora Pérez Jiménez (Faculty of Archaeology, Leiden University) as well as other academics specialized in Mexican, Latin-American and Caribbean themes on November 2011. We will not accept casual ungrounded answers via YouTube links and demagogical speeches on this matter, which has formed the content of President of Mexico’s response until now. Mexico faces both a social and political crisis which is clearly reflected in the events that have taken place in the past in Mexico City and most recently took place in Iguala. Despite the promises that have been made by the Mexican government, it still has not fulfilled its purpose of providing a better living environment in Mexico, where Mexican citizens, and particularly students, no longer have to fear for government authorities and institutions. Our country faces significant challenges in protecting the right to life, the most basic human right, and we as Mexican and international students demand that the government fulfils its promises. In so doing, we hope to create a Mexico where peace and justice prevail. Human Rights Council. United Nations General Assembly. “Report of the Special Rapporteur on extrajudicial, summary or arbitrary executions, Chist of Heyns. Mission to Mexico”. United Nations, Geneva, April 2014. Office of the United Nations. High Commissioner for Human Rights. “Enforced or Involuntary Disappearances, Fact Sheet No. 6/Rev. 3”, United Nations, Geneva, July 2009.